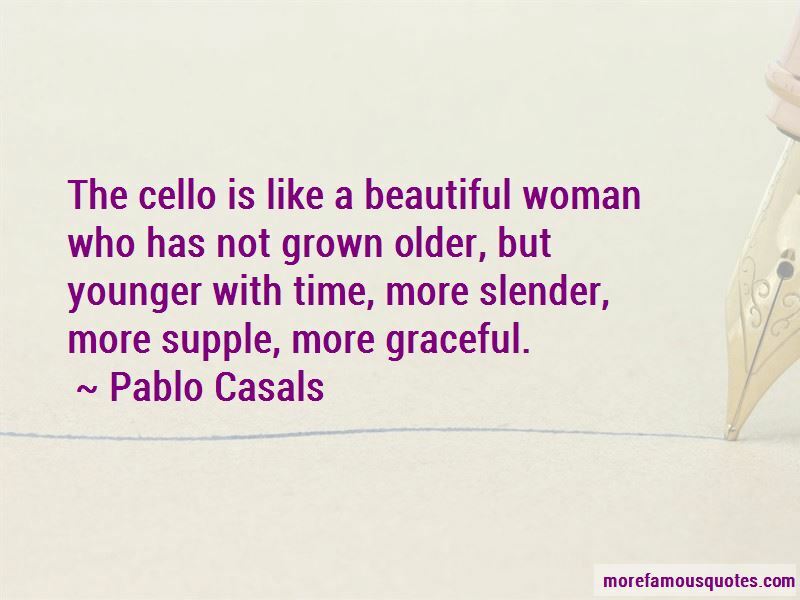 Enjoy the top 78 famous quotes, sayings and quotations by Pablo Casals. In music, in the sea, in a flower, in a leaf, in an act of kindness ... I see what people call God in all these things. It is not a mechanical routine but something essential to my daily life. I go to the piano, and I play two preludes and fugues of Bach. I cannot think of doing otherwise. It is a sort of benediction on the house. But that is not its only meaning for me. It is a rediscovery of the world of which I have the joy of being a part. It fills me with awareness of the wonder of life, with a feeling of the incredible marvel of being a human being. The music is never the same for me, never. Each day is something new, fantastic, unbelievable. That is Bach, like nature, a miracle! Work helps prevent one from getting old. I, for one, cannot dream of retiring. Not now or ever. Retire? The word is alien and the idea inconceivable to me. I don't believe in retirement for anyone in my type of work, not while the spirit remains. My work is my life. I cannot think of one without the other. To "retire" means to me to begin to die. The man who works and is never bored is never old. Work and interest in worthwhile things are the best remedy for age. Each day I am reborn. Each day I must begin again. For the past eighty years I have started each day in the same manner. The truly important things in life - love, beauty, and one's own uniqueness - are constantly being overlooked. One should be able to say to our children: You are a marvel! You are unique. In all the world, there is no other child exactly like you. 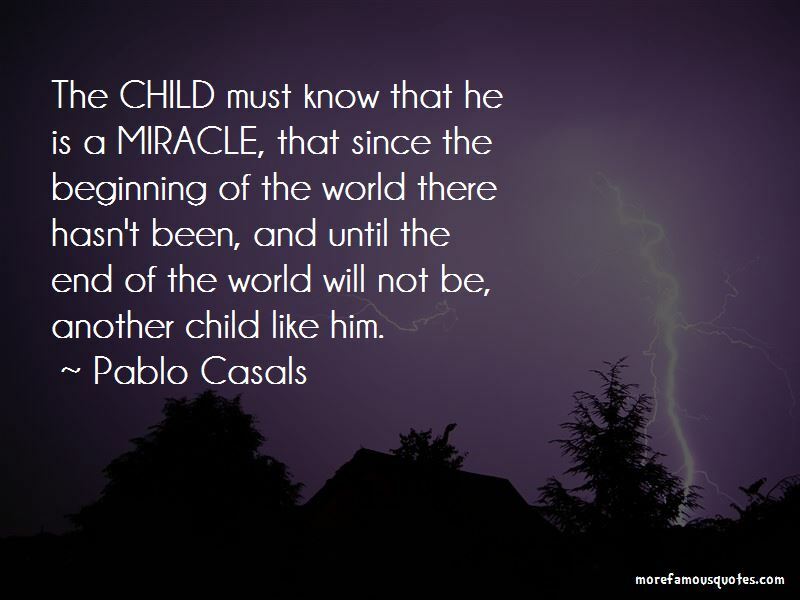 In the millions of years that have passed, there has never been another child like you! ... and when you grow up, can you harm another who is, like you, a marvel? If you play Bach every day, you are not so alone. Rock n' roll is poison put to sound. 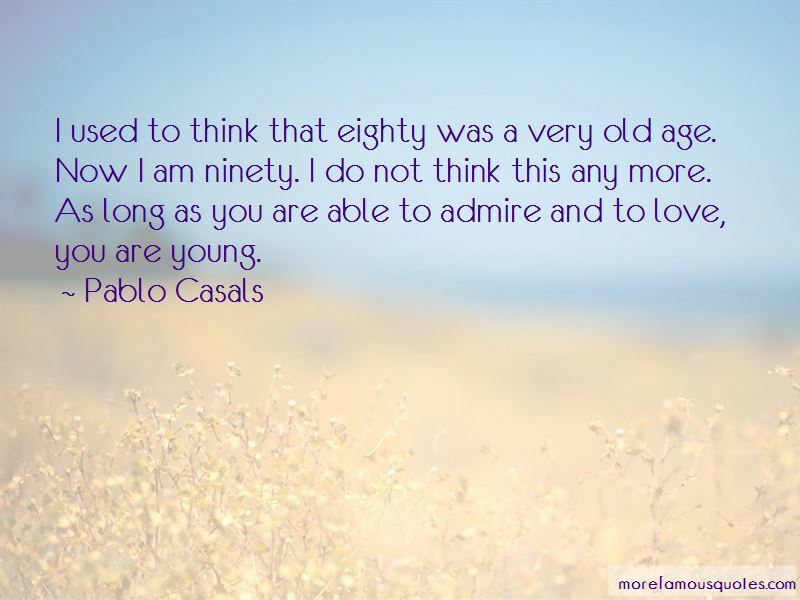 Want to see more pictures of Pablo Casals quotes? 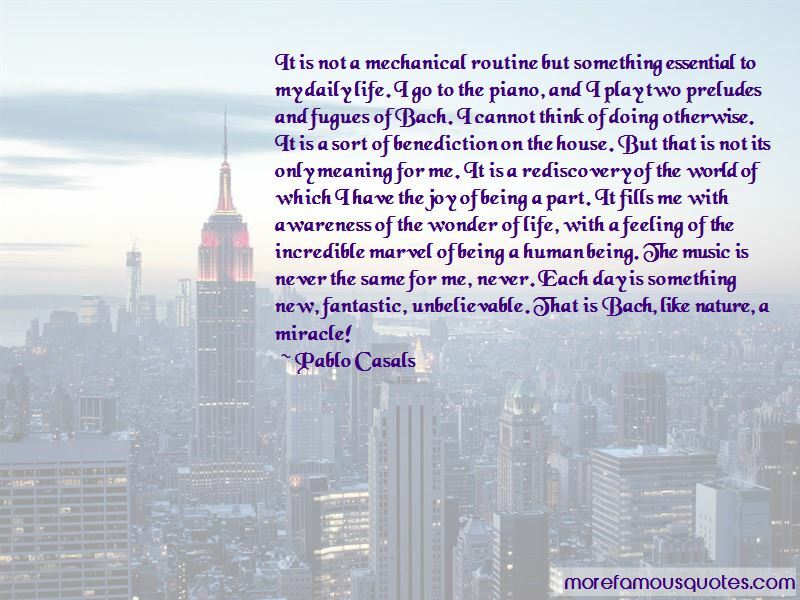 Click on image of Pablo Casals quotes to view full size.